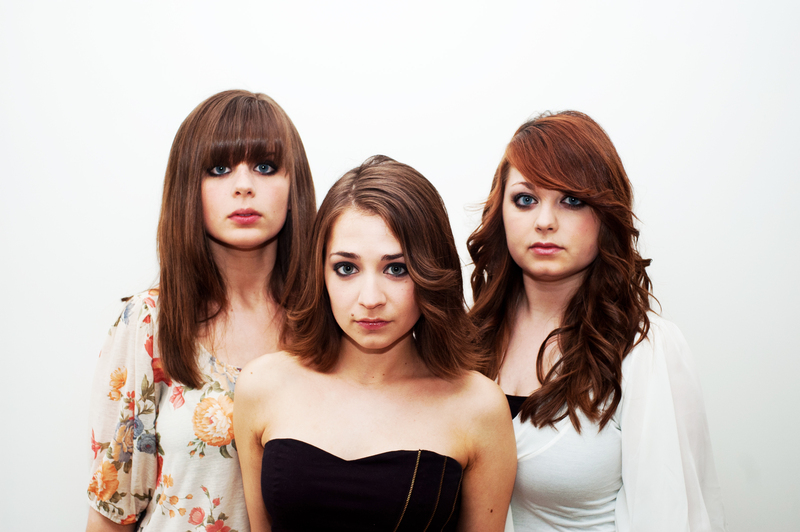 Isla are made up of three rather extraordinary young ladies. Not only are they beautiful and hugely talented but they are also three of the nicest people you could ever wish to meet. Popped caught up with them recently to film a little bit of a special session with the them, which you will be privy to in the next few weeks. The members of Isla are also all sisters with wide and varied tastes in music, from Debussy to Beyonce, from Florence + The Machine to the Red Hot Chili Peppers. They also play all their own instruments and probably some of yours too if you have anything to hand. Collectively they can play, the piano, trumpet, whistles, drums, tuned percussion and the saxophone and the clarinet. Their first release is an EP entitled Constellations. As well as the title track the EP offers two other songs; Run For You and Defences. It will be available to purchase from iTunes and Amazon from Sunday 23rd October and if you get along to see the band you can buy a CD version too. Pleasant soothing sound, similar [and in set-up] to The Corrs perhaps? Collectively very pretty and talented girls, graceful vocals. I can find nothing on them, Wikipedia or Myspace … where are they from? They are online. All their links can be found from their page: http://www.islaonline.co.uk. They’re originally from East Yorkshire but now based in SW London.